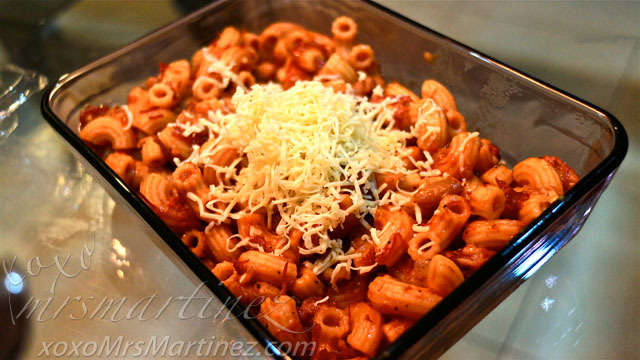 Pasta is one dish that you can serve during breakfast, lunch or dinner... winner, di ba?! 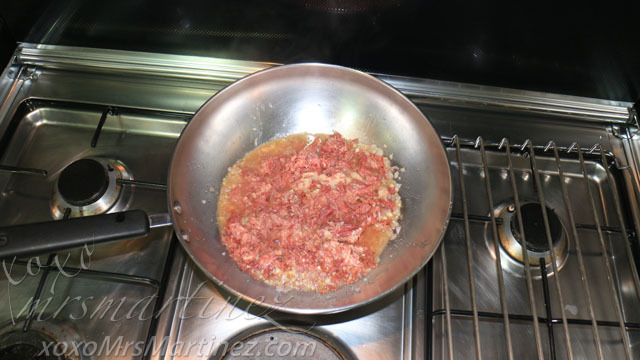 My daughter loves it and it is so easy to prepare and cook because basically, you just toss all the ingredients into the wok/skillet/pan. Ingredients listed are just my preferred brands. You can use whatever brands you have in your kitchen cabinet. 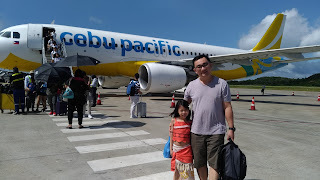 One time, I substituted Delimondo brand with Purefoods but the latter was kinda salty so I switched back to my preferred brand. Cook the pasta as per package instruction. 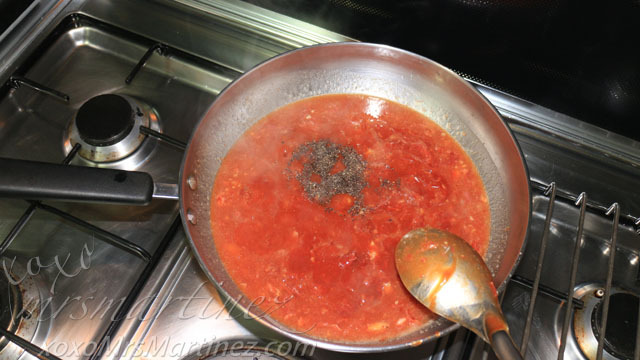 Do not forget to add a tablespoon or less of coarse salt to a boiling water before adding the pasta. 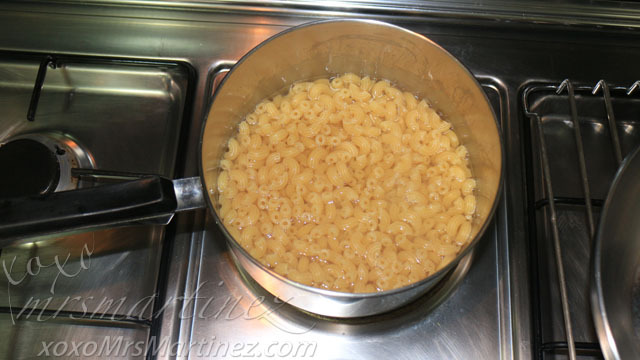 Add the pasta when the water comes back to a rolling boil. 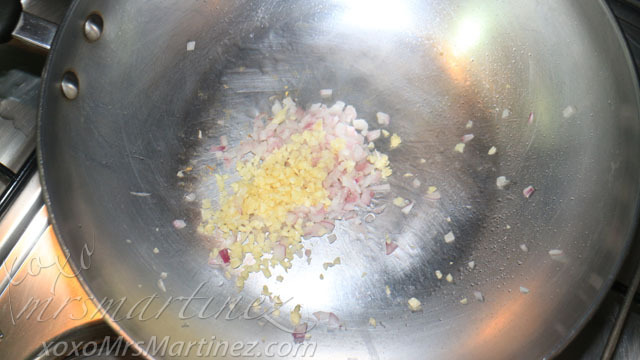 Stir occasionally to separate the pieces. 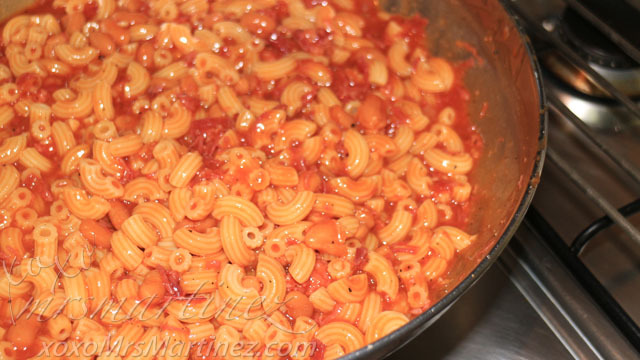 You can also add a little bit of oil in the water to avoid the pasta sticking into the pan. 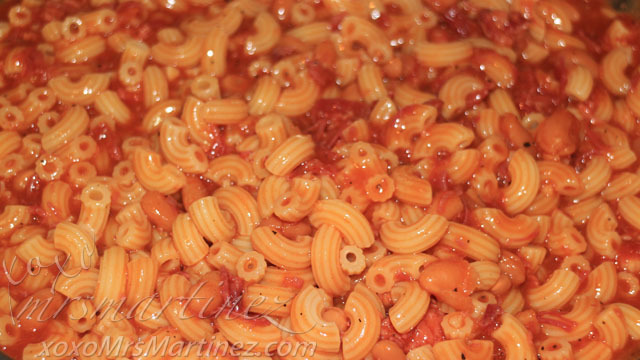 Pasta doneness should be al dente or chewy in texture. You can test this by tasting a piece of the pasta or by breaking a piece of pasta into half. Make sure that you don't see a thin white line or small white dots in the middle of the broken piece. If you see any hint of the thin white line, your pasta isn't done yet. Wait for a few minutes and test again. 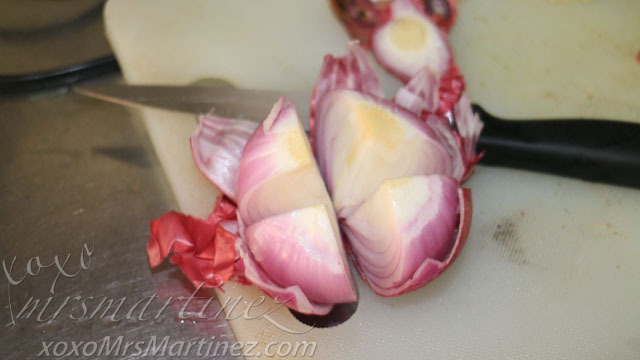 When slicing an onion, cut both ends first and make sure that you remove the first/top layer of the skin then proceed by slicing it crosswise. By then, tears are starting to form in my eyes and I have no control over it. Luckily, I found a trick to stop the flow of my tears. I accidentally discovered it while rinsing the onion under water. The onion didn't irritate my eyes afterwards. 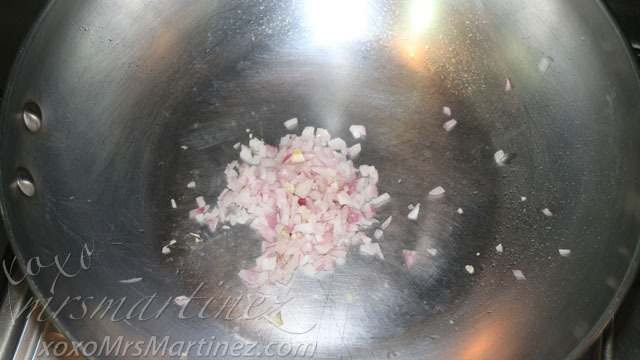 You can find can also either soak the onion in the water or cut the onion under water. 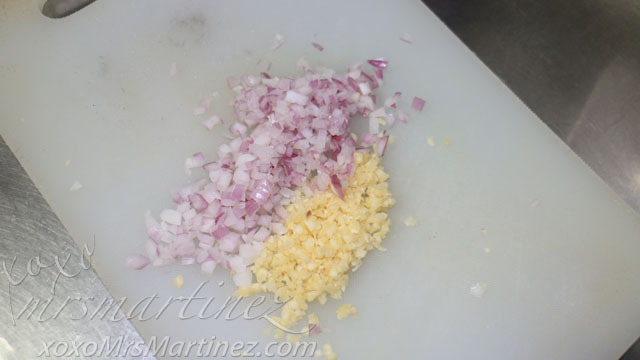 I will tell you a trick to make chopping a garlic a whole lot easier in my next #CookwithMrsMartinezRecipes entry ; ) Watch out for that! 4. 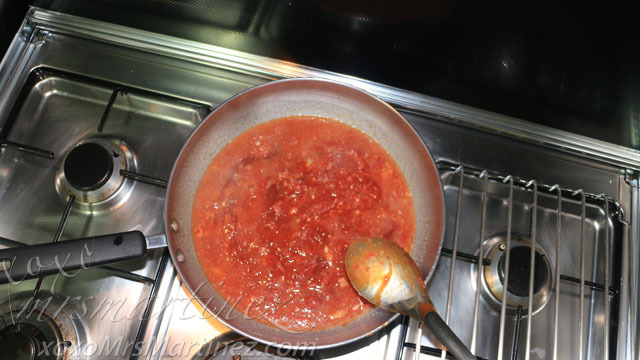 Pour in 2 pouches of spaghetti sauce. 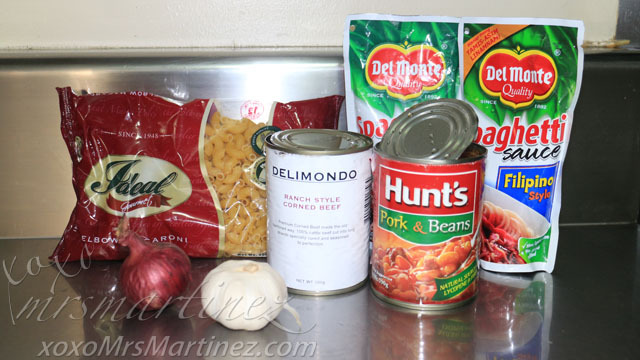 Filipino Style Spaghetti Sauce is a bit sweet and spicy which I like! 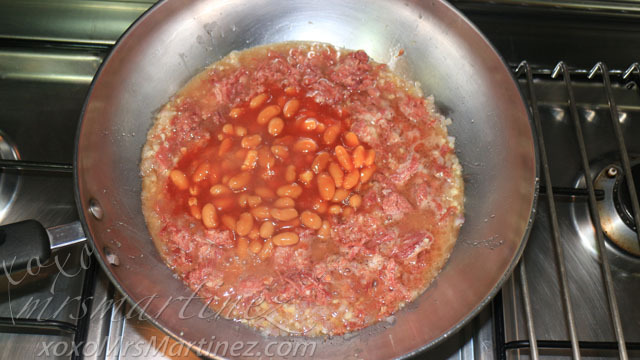 There you have it, my version of Corned Beef Macaroni with Pork & Beans! 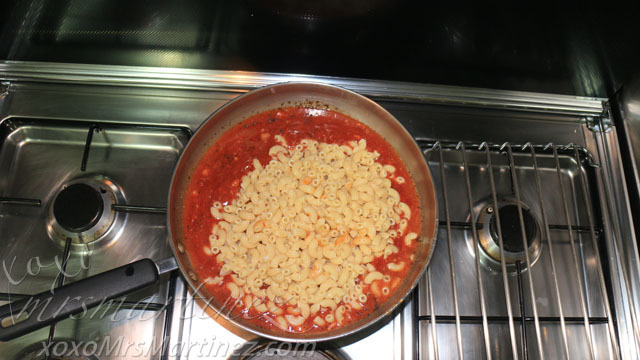 It's a very simple and easy to follow recipe! Preparation and Cooking time is about 30 minutes. Serves 6-8 pax.